Val Geisler is a mother of two girls, freelance marketer, and lover of french fries. She also runs Work It Mama – Columbus’s only co-working and gathering opportunity for women. 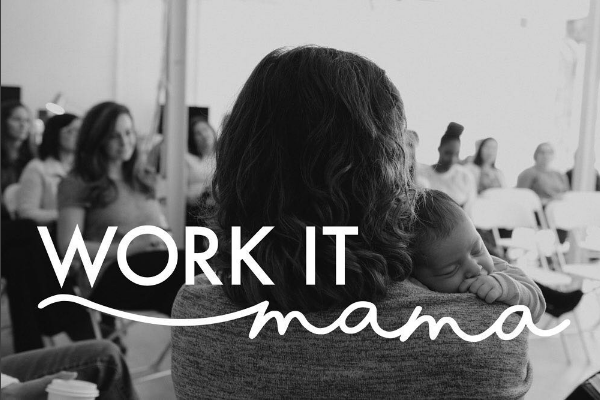 Work It Mama hosts events throughout the year, pop-up co-working days, and workshops for working mamas. “Oh, and everything we do offers childcare!” emphasizes Geisler. As a freelancer and a mom, Geisler stresses how this combo means she needs childcare to get her work done, but not always in the most traditional 9-5, Monday-Friday sense. “I also found myself incredibly isolated as a mom of young children working from home. You just don’t talk to other adults all that often,” she shares. “It’s a real game changer for mamas to have those moments on a regular basis,” adds Geisler. Their quarterly events are held at St. Luke’s Church on W 5th Ave, where there’s a separate space for the kids to play with childcare providers; while the mamas get to gather and connect in their own space – kid free explains Geisler. They also host co-working days at that space, as well as other events and workshops around town in various locations. “We love having a home base and also meeting people where they are,” Geisler shares. Eventually they’ll offer full time co-working with childcare, but you can attend their fall gathering on Sat. September 23rd at 3pm. Click here for tickets and details. 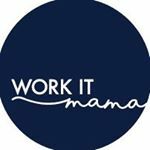 You can learn more about Work It Mama and signup for their email here, and be sure to follow along on Instagram: @workitmama_.